You’ve worked diligently to prepare a great presentation. Your purpose is crystal clear. You’ve know who will be in your audience. You’ve incorporated content that addresses their interests. You’ve crafted an engaging introduction. You’ve included a statement that previews the contents of your presentation. You’re identified main points, and closed powerfully. You’ve ensured your presentation flows smoothly from point to point. You’ve solicited feedback from your supervisor and colleagues. You’ve promptly incorporated this feedback into your talk. You’re ready. It’s show time. You’re not quite ready to present, however. You’ll also be asked to respond to audience questions after you conclude your formal remarks. This component deserves no less preparation than the presentation itself. You need to and will want to prepare. Even the best presenters undermine their effectiveness by failing to plan for questions. Hence, I urge you to spend time in advance thought and preparation in this arena. To this end, I encourage you to incorporate these five guidelines. They’ll help you to make the most of questions you’ll encounter. Identify what you consider as logical or obvious questions you’re likely to be asked based on your topic. These questions seek clarification on any or all of your main points; raise possible objections to your arguments; inquire about details regarding implementation; and/or probe next steps based on your argument. Craft and practice your responses to the questions you’ve identified above. Don’t simply write out and read your responses silently, however. Instead, speak them out loud—just like you’ve done when you’ve practiced your formal presentation. Reading and speaking aloud are two fundamentally different experiences. You might believe you’re prepared if you’ve written and memorized your responses, but it’s not the same thing. Aim for succinct responses that begin with your response to the question. If possible, add a sentence or two that reinforces your main message. That’s it. There’s no need to add more detail. You want to ensure you can address all potential questions. Responding at length to anyone or two can undermine this intent. Besides, your goal is not to show how much you know but to speak to the audience’s curiosity about your topic. That means answering as many questions as time allows. 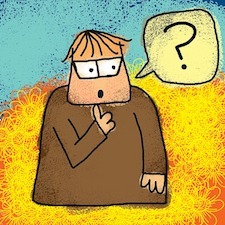 Identify difficult or out of the ordinary questions you might encounter. These might invite you to comment on a hypothetical situation or rumor related to your topic. These questions may also seek your opinion on subjects unrelated to the purpose of your talk. In short, prepare for the unexpected, undesirable, and perhaps even inappropriate question. Answering audience questions well reflects skill as a presenter and leader. Take the time to prepare for these questions in the ways I’ve outlined here. The effort can help you demonstrate such prowess.